A few years ago I made my list for my top 20 Christmas horror movies (read 20-11 and 10-1), and I still stand by these lists today, but besides Christmas horror movies, I also like watching horror movies set in winter - you know, ones with heaps of snow, where people are isolated and even hampered by the cold weather, movies that are perfect to curl up on the couch with on these colder days. 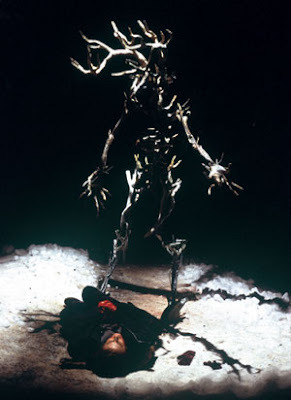 Personally, I love snowbound horror movies because I don't get snow where I live, and frankly it never really gets that cold. 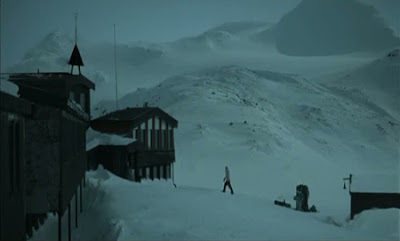 In a way, I get to live vicariously through these horror films with stunning winter landscapes. So grab your coziest blanket, cuddle up on the couch with some hot cocoa, and immerse yourself in the winter wonderlands of these twenty snowbound horror movies! Ravenous - Directed by Antonia Bird, Ravenous is a highly underrated gem that's got vicious wit and black humor to go along with its cannibal/wendigo story. Set in the 1840s in the Sierras, it tells the tale of a cowardly Captain who is sent to a remote post in the Sierras. Once there, he encounters a man who was lost in the wilderness and recounts a horrifying story of cannibalism. He convinces the captain and the other rag tag group of soldiers to lead a rescue party to search for more survivors, but what they find is more horrifying than they can imagine. I love the historical setting in the snowy Sierras, and it gives this film such an isolated, creepy feel! The Shining - Based on the novel by Stephen King of the same name, the film is about the Torrance family who moves into The Overlook Hotel deep in the mountains to act as caretakers over the winter. Father Jack works on his novel while wife Wendy takes care of their son Danny, who has psychic powers. Soon, the insidious evil of the hotel and Jack's own madness begin to creep into everyday life. 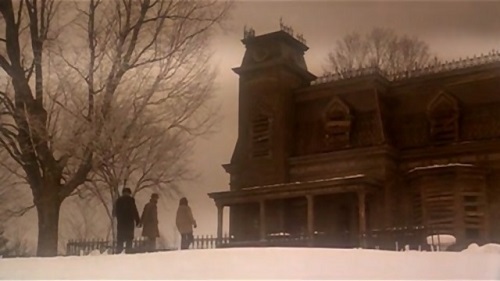 This is an undisputed classic, and the isolated, snowed-in setting is half the reason we have this story in the first place, and adds to the eeriness and helplessness of the Torrance family. 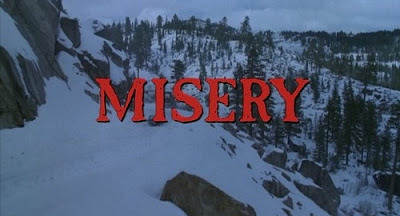 Misery - After crashing his car in a winter storm, an author is rescued by "his biggest fan", Annie. However, after Annie learns of a plot twist in the author's new novel, she takes him prisoner and violently forces him to re-write his novel to her specifications. This is another film based on a Stephen King book that wonderfully captures that winter feeling. Ghost Story - Four old friends get together every year to tell ghost stories, but after one of their sons dies mysteriously and a mysterious woman from their past resurfaces, they find themselves revisiting an old secret from their youth. This film has so much snow, so many cozy fireplaces in grand old houses, a cute New England town and, oh yeah, a vengeful ghost! Dead Snow and Dead Snow 2: Red Vs Dead - A group of friends travels up to a remote cabin in the mountains in Norway and unwittingly resurrect an army of undead Nazis who are after their lost treasure. The pristine Arctic snow soon turns crimson red as the zombie Nazis march on the vacationing friends and anyone who gets in the way. 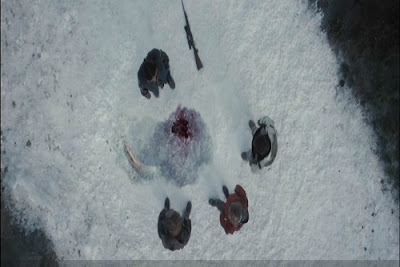 This movie is a hell of a good time, filled with plenty of gore and laughs along with some stunning snowy vistas. 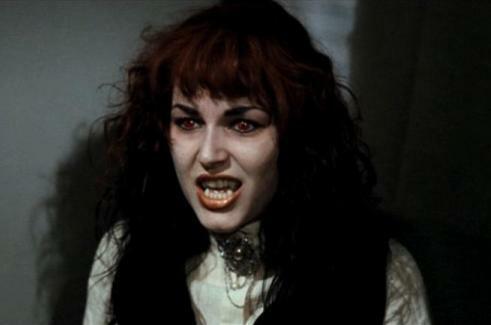 Ginger Snaps Back: The Beginning - I adore the Ginger Snaps series, and this third film is no exception. Set in early 19th-century Canada, orphaned sisters Ginger and Brigitte find themselves lost in a forest but are rescued and taken to a fort. Though strange events are occurring at the fort, the few settlers who are left remain tight-lipped about the situation. Soon, Ginger discovers their secret for herself... 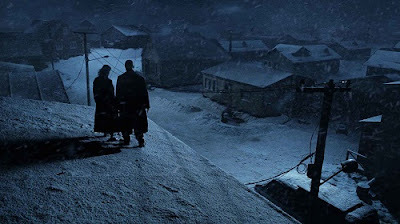 The winter setting adds beauty and mystery to this werewolf film. Frozen - As a winter storm approaches, three people become stranded on a chairlift high above the ground after a ski resort closes for the night. The premise sounds improbable, but Adam Green's horror film actually makes sense in its context and manages to make ski lifts appear menacing. Troll Hunter - A documentary crew investigates reports of illegal poaching, but discovers that trolls are real as they tag along with a man who hunts and slays trolls for the Norwegian government. This movie is not only freakin' cool (hello - giant trolls! 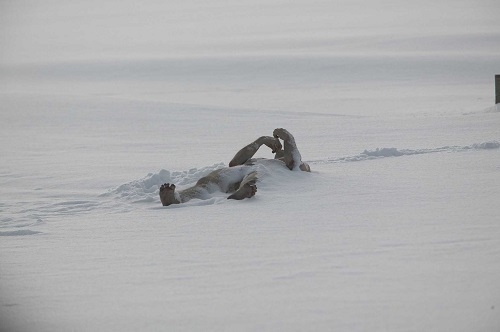 ), but the winter setting features forests of pine trees, vast expanses of tundra, and snow-capped mountains. 30 Days Of Night - The small town of Barrow, Alaska experiences a solid month of darkness every year, with few townspeople remaining. 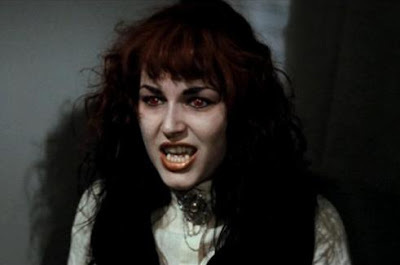 Those that stay are menaced by a pack of vicious vampires that have a full 30 days of night before sunlight can threaten them. Can the townsfolk survive the vampires for four weeks until the sun returns? Love or hate this movie (I'm kinda meh on it), you can't deny how foreboding the snowbound setting is and what an intriguing premise it has. Frostbitten - This Swedish horror comedy also deals with vampires and a winter locale that sees an extended period of nightfall (and it came out prior to 30 Days of Night), but its got more of a fun, entertaining vibe. It comes with a backstory of a Nazi doctor trying to perfect the human super race with vampire blood, and some local high schoolers mistaking blood capsules for drugs and inadvertently transforming into blood-thirsty creatures, terrorizing the town. It has got some quirky and oddball moments, all that add to its charm. Devil's Pass - A group of American college students travel to Russia to investigate the Dyatlov Pass incident, where nine hikers died under mysterious circumstances. The film is comprised of the film footage taken by the students, which was later recovered by the Russian government and released to the public by hackers. I really enjoyed this film, not only for its (loose) basis on true events, but also because of the eerie atmosphere the setting and weather create, as the students not only face supernatural occurrences but natural ones, like avalanches. Let the Right One In - An unlikely friendship blossoms between the bullied Oskar and his mysterious new neighbor Eli. Initially reserved with each other, Oskar and Eli slowly form a close bond, but it soon becomes apparent that she is no ordinary young girl. Eventually, Eli shares her dark, macabre secret with Oskar, revealing her connection to a string of bloody local murders. The beautiful but frigid Swedish winter setting is a character itself in this unique vampire tale. The Children - A pair of families spend the winter holidays together at a large home in the English countryside. It's all snowmen-building and tobogganing until the kids start getting sick, and by sick I mean turning into murdering little psychopaths. Truth be told, I didn't care too much for this movie when I first saw it, but the pretty snow-covered countryside makes up for the killer brats. The Thing - In John Carpenter's 1982 film, a group of American research scientists at a remote base in Antarctica are infiltrated by a creature that can assume the shape of its victims, and a desperate, gory battle to discover the creature ensues before it picks them all off, one by one. If you are looking for snowbound horror, it really doesn't get any better than this! The Last Winter - When the environmental impact of oil drilling at an Arctic camp is investigated, strange things start to befall the scientists and crew, and they are soon cut off from the outside world, as Mother Nature unleashes her wrath. Directed by Larry Fessenden and starring Ron Perlman and Connie Britton, this underrated film explores not only an isolated, wintery locale, but also the dangers of man's environmental destruction. Wendigo - Another Fessenden film, this one about the wendigo legend. A family driving through a snowstorm suffers an accident which sets off a chain of events that alters their lives forever and conjures up the ferocious spirit of the Wendigo, a Native American myth made manifest by the young son's imagination. I love wendigo stories, and I feel like this one often gets overlooked. The Thaw - Ecology students discover a prehistoric parasite that has been released from the melting polar ice cap and realize it threatens the safety of the world. Like The Last Winter above, this snowbound horror deals with the consequences humans face when Mother Nature feels threatened. The Curse of the Cat People - In this sequel, a young girl begins having vivid visions of her father's deceased former wife, and after she incurs the wrath of a mentally unstable woman, the young girl's relationship with the deceased is escalated. Abominable - A paraplegic moves back to a remote cabin in the mountains where he and his now-deceased wife once lived. When one of his new neighbors is attacked by a gigantic Bigfoot-like beast, he tries to warn the authorities of what danger lurks in the snowy woods, but they dismiss him as delusional, and he is left to stop the abominable creature himself. 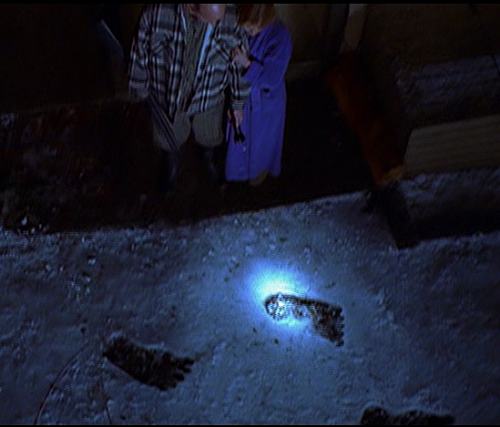 Despite its low-budget, this is rare well-done indie film about Bigfoot. Oh wow, this is a great list! Thanks for reminding me of such greats as Gingersnaps and Trollhunter - I was looking to cuddle up with something snowy this week. If you haven't seen it I highly recommend the Finnish Rare Exports! Thank you! And, oh yes, I love Rare Exports! It appears on my other lists (linked above) of more straight-forward Christmas movies!